This international conference for small states´ specialists will focus on security and defencepolicy choices and challenges of NATO small states and small NATO partner states in EasternEurope, the Middle East and North Africa (MENA), and Oceania. One third of NATO members are small states and so are most NATO partner states. The SSANSE research project is a preparedness initiative examining the defence and foreignpolicies of NATO small states and small NATO partner states in the new securityenvironment and examining how NATO might better partner with these states. We welcome contributions on a wide range of topics concerning security anddefence policies of NATO small states and their small states’ partners. We invite scholars to send an abstract, 200-250 words, of their potentialcontribution at the conference and a short bio, 150-200 words. Participants are required to circulate a 1500-word policy brief outlining their findingstwo weeks before the conference. The policy briefs will form the basis for ourdiscussions and be posted on the project´s website. Participants will have the opportunity to have their research considered for inclusionin the SSANSE project’s forthcoming edited book on small states and security. After the conference a summary report, will be circulated to participants and presented tothe public. The conference will be live streamed on the project´s website. 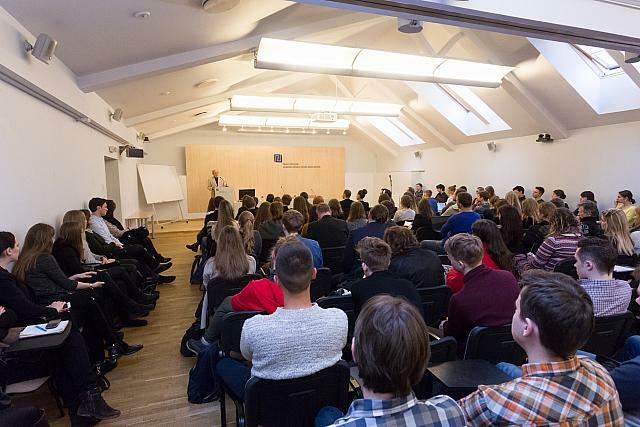 Participants and attendees will consist of scholars, policy-makers, diplomats, politicians,journalists, and a number of graduate and PhD students, taking part in the Small States Summer School at the Centre for Small State Studies in Reykjavik. The SSANSE project is funded by NATOs Science for Peace Programme and led by Dr. Baldur Thorhallsson (NATO Country Project Director), University of Iceland, Dr. Anne-Marie Brady (Partner Country Project Director), University of Canterbury, Dr. Alan Tidwell (Co-Director ofthe Project), Georgetown University and Dr. Margarita Seselgyte (Co-Director of the Project), Vilnius University. Requests for further information and applications to participate in the conference (abstractand short CV) should be sent to Margrét Cela, Project Manager at the Centre for Small States and the Institute of International Affairs at the University of Iceland, mcela@hi.is before 15 February 2018.